Who says we are behind the trend? If there is a new trend out there in the “Lower ’48”, we who live here joke that it will take about 3 to 5 years to catch on here. It is an often stated excuse for Alaskans for being behind the times. Finally we have been vindicated. We are AHEAD of the times in one area: coffee! Check out this article in The Guardian http://www.theguardian.com/lifeandstyle/2015/aug/18/biggest-coffee-snobs-america-alaska-not-seattle?CMP=share_btn_tw. 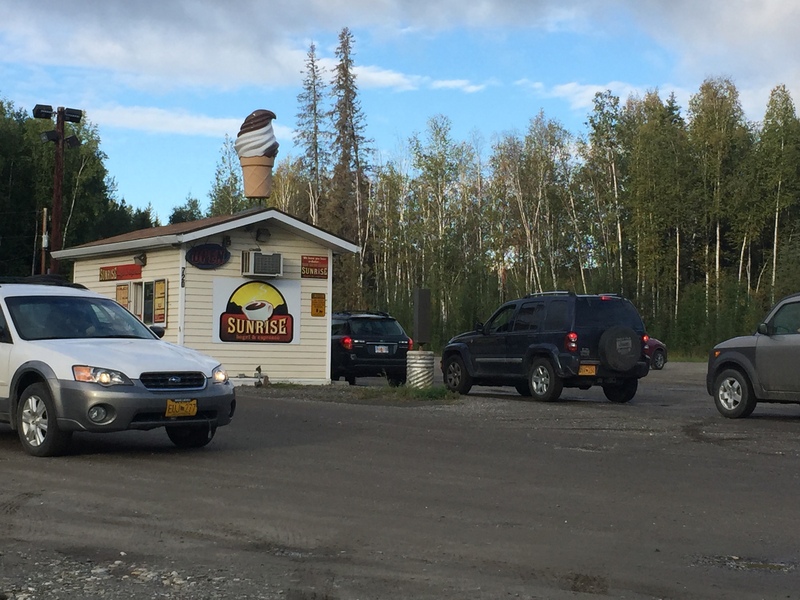 I think my favorite line is “the most caffeinated place in the country.” Do you think we need/deserve it in Alaska? Being a coffee lover myself (hopefully not a snob), I am thrilled. I have a collection in my wallet of a punch card for almost every coffee stand there is in Fairbanks. Don’t ask how many types of coffee beans are stored in my freezer (okay, I’ll ‘fess up: French Roast, Verano, Aria, Yrgacheffe..) Perhaps I should explain the word “coffee stand.” Along any well-trafficked road in Fairbanks there are small mobile coffee stands, with drive up windows on each side. And yes, if you are wondering, those windows do open and close whether the temperature is above 90 on a hot summer day, or below 40 below on a chilling ice foggy day. And even if you don’t believe it, there will be cars lined up, waiting for their cup of java. If your dog happens to accompany you in the car, they will offer them a doggie treat. Then there are the local Starbucks housed inside both Fred Meyers shopping center, and both Safeways (probably so as not to discriminate shoppers loyal to either). And of course, at Barnes and Noble. So goes the corporate world. Ho hum. 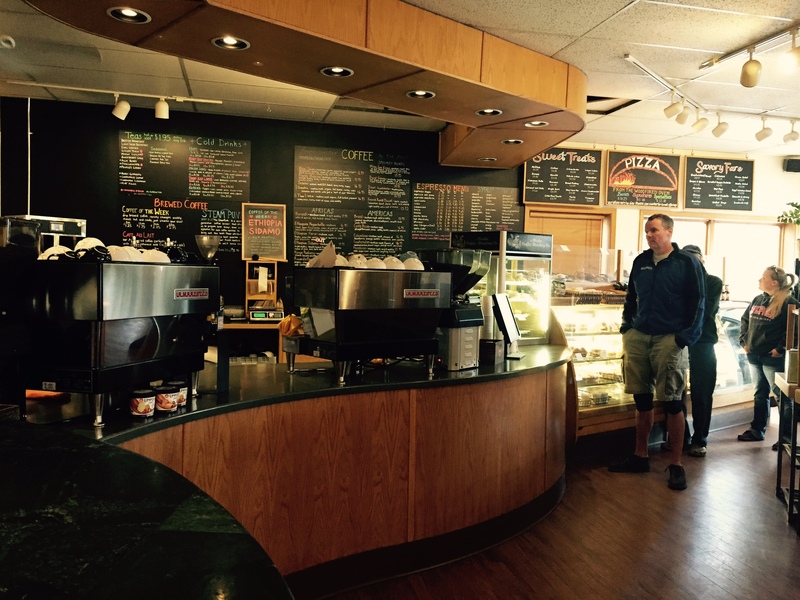 However,we also have great coffee, locally roasted at a couple of places–notably, my personal favorite, Alaska Coffee Roasting Company. They have evolved from a small storefront, then expanding to take over the next spot in the mall just down the hill from the University. And almost every time I stop there is a line for coffee–inside and outside at the drive through. But, you don’t have to visit these outlets. Stop in at the Inn and we will offer you a cup of freshly brewed French Roast from Alaska Coffee Roasters. You don’t have to stop at any of the three coffee stands lined up along Geist Road and shell out $4. Ours is free.